sportpesa tips - Use our Free sure winning odds to prosper. Thisted FC Vs Odense Prediction. Thisted FC welcomes Odense at Sparekassen Thy Arena in Thisted for a Denmark DBU Pokalen match. Thisted have played a total of 2 matches in Denmark DBU Pokalen. Their current statistics is 2 win. Thisted are in the 5th position of 1st Division. Thisted have played a total of 11 matches in Denmark 1st Division. Their current statistics is 4 win, 5 draw and 2 lose. Thisted did not lose their last two matches in the competition. Thisted last played Fremad and the game ended in a barren draw. Thisted did not lose their last home match in the competition. OB have played a match in Denmark DBU Pokalen. Their current statistics is 1 win. OB are in the 10th position of Superliga and they are in contention for Relegation Round. OB have played a total of 11 matches in Denmark Superliga. Their current statistics is 3 win, 3 draw and 5 lose. OB did not lose their last away match in the competition. The two teams have never met in any competition before and so this will be the first time they will be going head to head. Who to watch: N. Helenius the 27 years old is the leading goal scorer for the hosting team having netted 3 times in 6 appearances in their domestic league. Thisted have not lost game in this competition but have not won in their last 3 domestic league games and this will be a form building game. Odense have won in their last 2 overall games and this will be an easy one for them since they will be playing a first divison team and they are in the superliga. Both teams are looking to qualify to next round of these competition and win in this will guarantee them a place in to the next round. 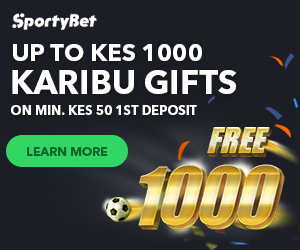 Proudly powered by WordPress | Theme: Gist by Sportpesa Today Games .